PayPal Payouts is a smart way to split the payments received for your products between multiple PayPal accounts. PayPal Payouts is not a payment gateway. Rather, it is a backend process which can be used to split the payment. To understand how PayPal Payouts works, let us consider a scenario. 5% of the product’s price has to be paid as shipping fee to the shipping company for every order that is placed on the site. – A user places an order on the site using any payment gateway. – Site admin has to manually calculate the 5% shipping cost for all the orders and pay the shipping company separately. – The commission percentage for the shipping company and their PayPal ID will be configured by the admin. – Site admin can make payment for the shipping company to their PayPal ID directly from the site. In this article, we have listed Top 3 Best WooCommerce PayPal Payouts plugins. 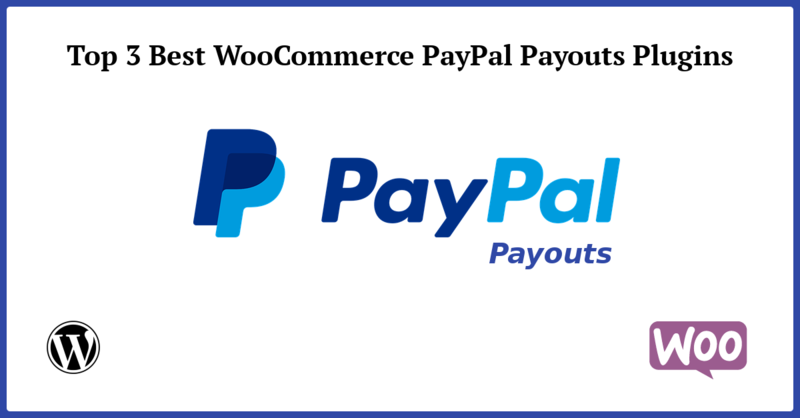 WooCommerce PayPal Payouts is a premium plugin which is developed by FantasticPlugins. It allows you to split the payment for your products between multiple PayPal Accounts(max 500 receivers per API call) using PayPal API. 1. Automatic Payouts – The commission percentage specified by the admin will be automatically sent to the PayPal ID. 2. Manual Payouts – The site admin has to manually send the commission to the PayPal ID. 3. Scheduled Payouts – The site admin can schedule the commission for the PayPal ID. YITH PayPal PayOuts for WooCommerce is a premium plugin which is developed by Yith. It allows you to pay all commissions to vendors and affiliates in a completely automatic way, or manually through a single action. Using Mass Pay feature you can split the payment between different receivers directly at the checkout, automatically. WooCommerce PayPal Payouts Pro is a premium plugin which is developed by IgniteWoo. It allows you to split the payments between multiple recipients. Also, you can set payouts recipients globally for all products or, you can configure specific payout recipients for a specific product. – You can view a list of all payouts along with payout details which include recipients, status, etc.